The migration helper for Vue.js 2.0 is now stable and officially released. 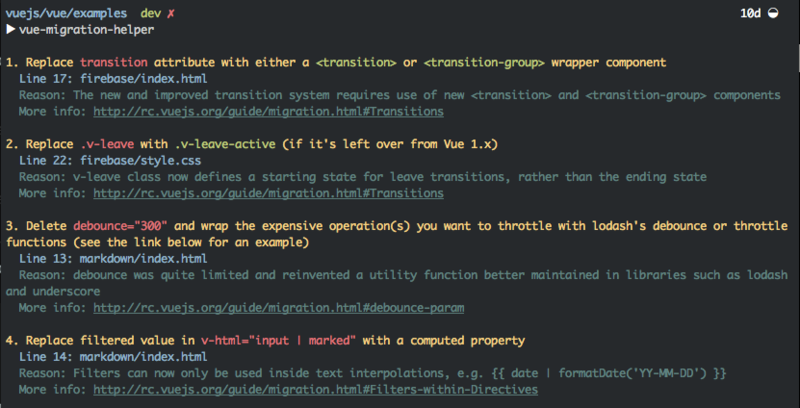 Chris Fritz, the creator of vue-migration-helper has announced that the CLI tool is now stable in its latest release. This tool can help you migrate your applications and projects to Vue 2.0 with ease, as it scans your files for Vue-specific code and provides detailed warnings when deprecated patterns are found. It cannot reliably catch every deprecation, but should get you 80% of the way there. Take a look at the package, here.